It’s recommended that every adult see their dentist at least twice a year for routine cleanings. Also, your oral healthcare routine at home should include once daily flossing and twice daily brushing. We further recommend proper nutrition to aid in your oral health and avoiding tobacco of any type. During your routine dental visits, we always perform an oral cancer check to ensure we catch anything at its earliest stages. They don’t like the perceived pain. At 32 Dental Practice, we center our care around a commitment to gentle and compassionate care. We endeavor to decrease the pain you might associate with the dentist. They worry about being lectured: We treat each patient with the care and respect they deserve. We always strive to educate our patients on the proper way to care for their teeth. Bad past experiences: We get that some people have had bad dental experiences in their past. Our team was built of top-notch caring and competent professionals. We can help you conquer and overcome that experience. 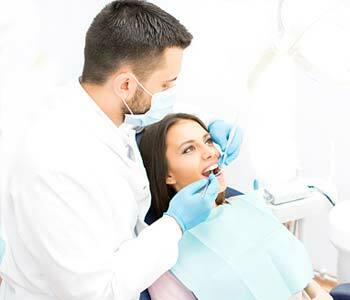 Busy: Many people find themselves too busy for routine dental care. However, twice annual visits often save much lengthier procedures down the road. Dental anxiety and phobia: To help even the most anxious patient, we offer sedation dentistry services. Find out more by giving us a call. You deserve optimal oral health! Give yourself the gift of a healthy smile. Call for a lifetime of outstanding oral health. (770) 423-1132.